Thinking about a special gift for your pastor or someone else in your church? A commissioned painting of your pastor or church building is the perfect way to honor present or past leaders of your congregation. Please contact Marla to discuss your ideas and to receive a quote for one of her custom paintings. 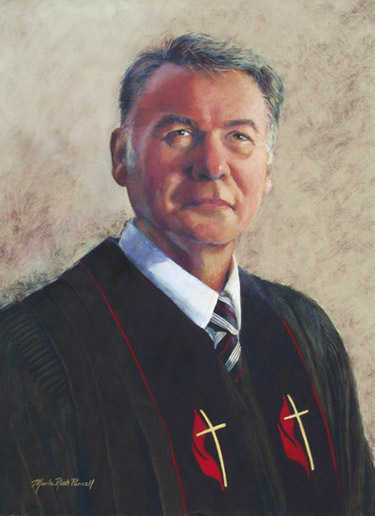 At left is a pastel portrait of Hue Parnell in his clerical robe. The original painting 16" x 22". See a gallery of Marla's portraits, and information about costs and her creative process at parnellstudios.com.